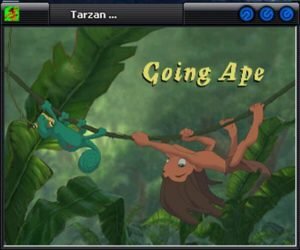 Just like the movie it’s based upon, about the only original things in Disney’s Tarzan are the whimsical characters and setting Disney cooked up to make Tarzan more appealing. 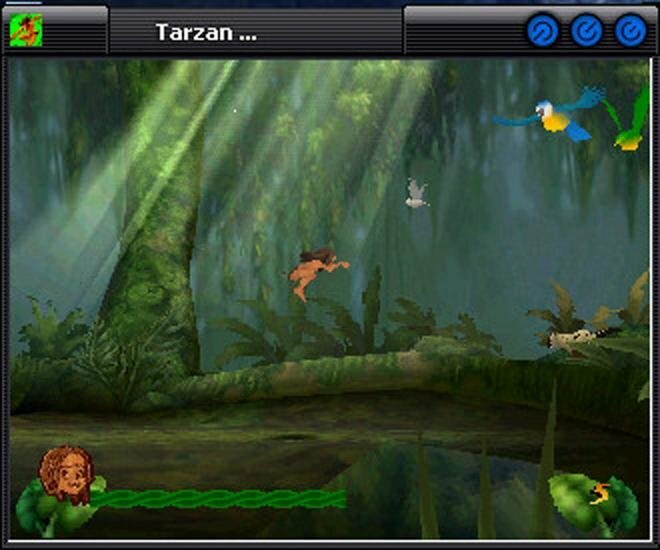 Disney’s Tarzan bills itself as a 3D adventure, and it’s a fact that Tarzan and all the critters he meets in the jungle are rendered in 3D. 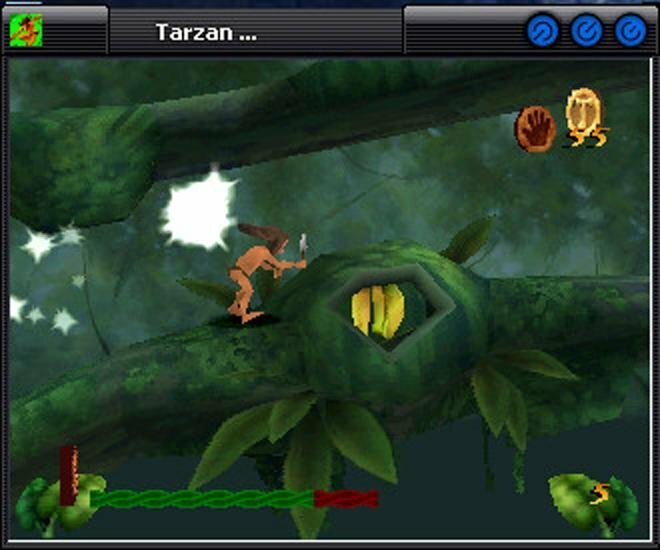 But when it comes to actual gameplay, this is strictly a two-dimensional side-scroller – Tarzan is stuck in the platform jungle as he runs away from elephant stampedes, slides down trees vines, and so forth. 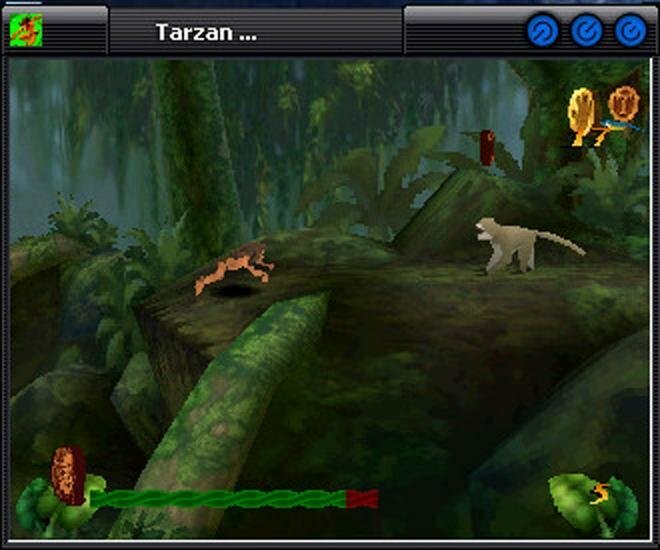 The graphics are nicely done, though, and there are a surprising number of video modes available (Glide, Direct3D or software rendering). The action here is a familiar mix of Mario and Sonic, and the other run-and-jump standards we all enjoy. 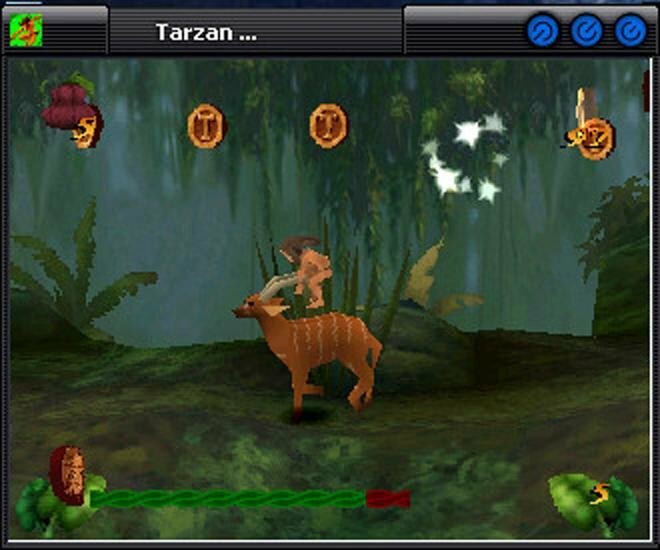 The goal of each stage is usually to make it from one section of the jungle to the other, grabbing tokens, power-ups, and bonus objects along the way. 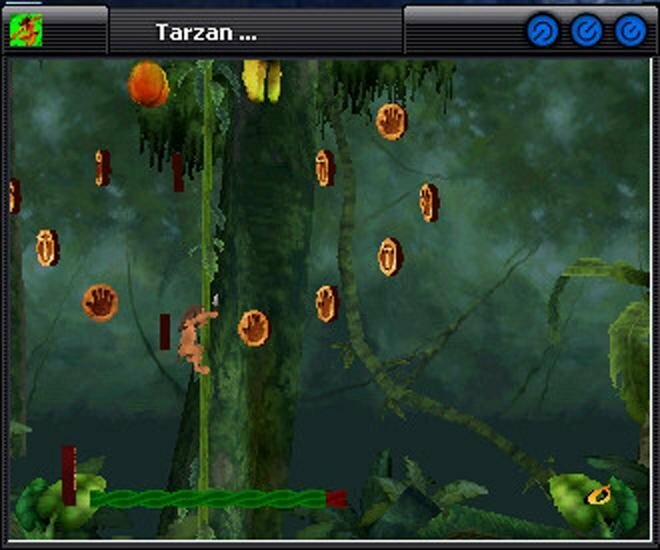 This means you’ll be doing a lot of jumping, swinging on vines, bouncing off plants and animals to get to hard-to-reach spots, and hurling fruit or using a knife to kill jungle denizens who stand in your way. 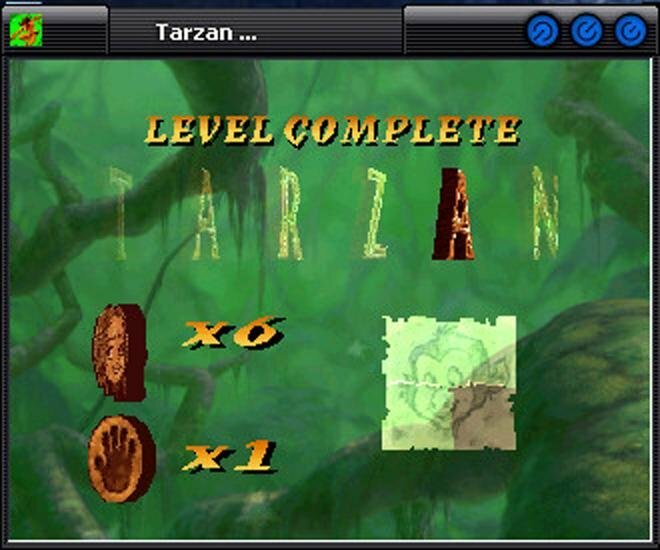 Even veteran action gamers will find a few tricky trouble spots in each stage, but thankfully there are several spots during each level where your progress is automatically saved. 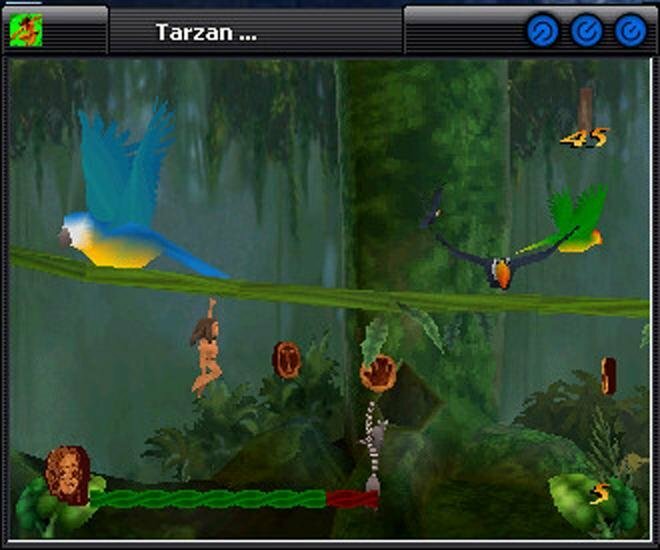 On easier difficulty settings, even a tenderfoot can rack up enough lives to eventually solve especially tricky jumps. As derivative as it is, Disney’s Tarzan doesn’t really do anything wrong. 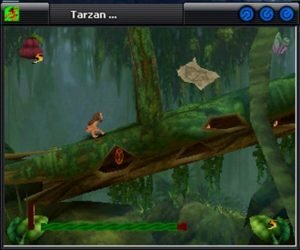 Three difficulty levels mean small fries of all ages can have a good time, the setup screens are nice and clean, the platforming action solid and your character reacts appropriately to every one of your commands. It’s all simple, eye-catching fun for all ages. 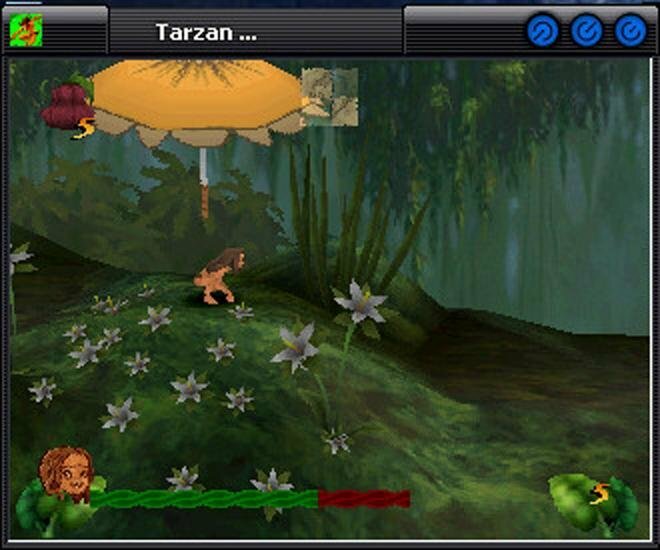 Tarzan is the best game! i am not getting full screen.what should i do for that? 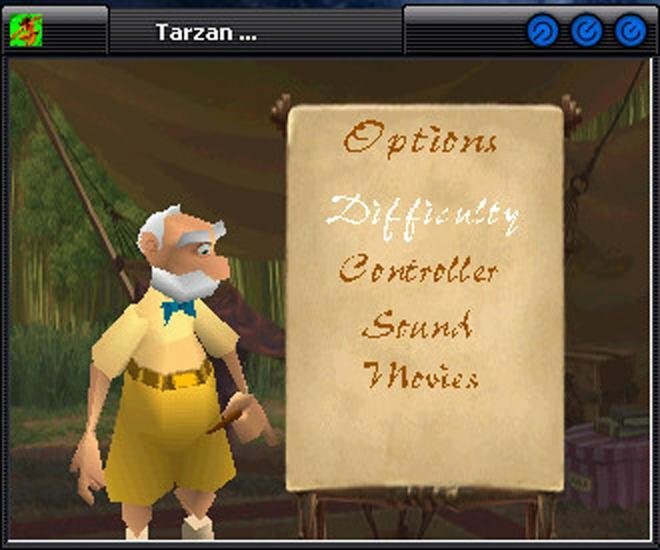 OPCG, can you please add Pandemonium 1 and 2? 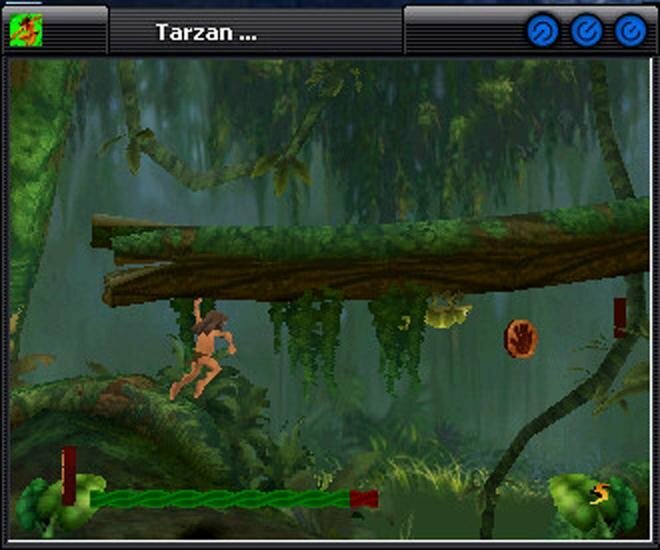 Tarzan is one of my very first PC games. 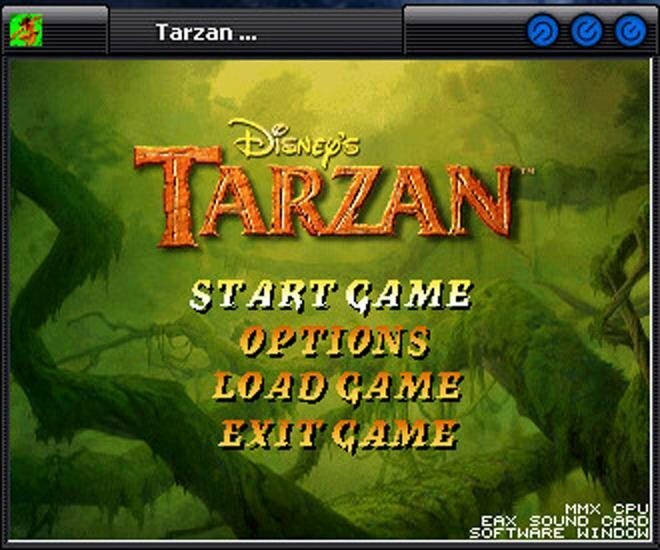 I’m not getting full screen , what should i do ? 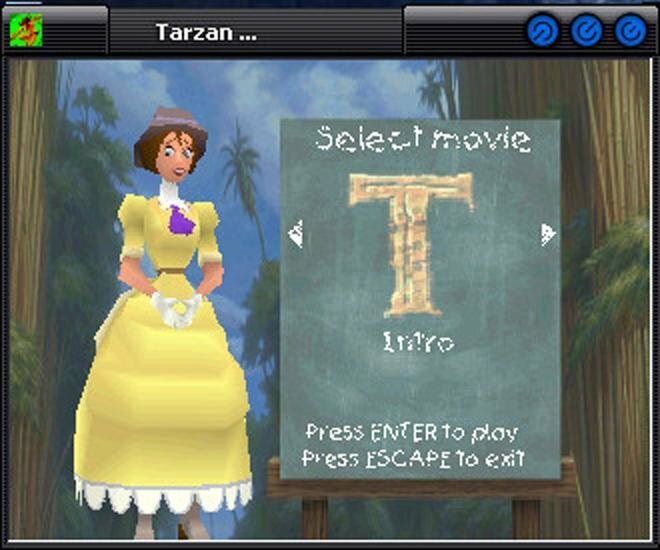 The game is asking a password. What’s that?? 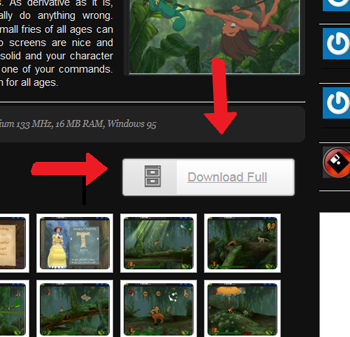 Download is HERE, near system requirements tab. I can’t open it in fullscreen. Is there a waqy to fix this? So it appears the author of this article uses WinXP based machine with a specific skin, huh? BTW I saw that theme somewhere else. What’s its name?